The Mwangi Cultural Center opened as the Afro-American Cultural Center in 1968. In 1973, the center was renamed to honor Dr. Ng’endo Mwangi, a member of the Smith class of 1961 and the first female physician in Kenya, for her dedication and service to her community. In the winter of 2017, the center underwent an extensive renovation project resulting in a new study lounge, conference room, reception area, administrative office, unity work room and expanded multipurpose room. Unity House is the headquarters of the alliance of 11 cultural organizations known as Unity. Unity was formed in 1991 when leaders of several Smith student-run organizations joined to create an umbrella organization. 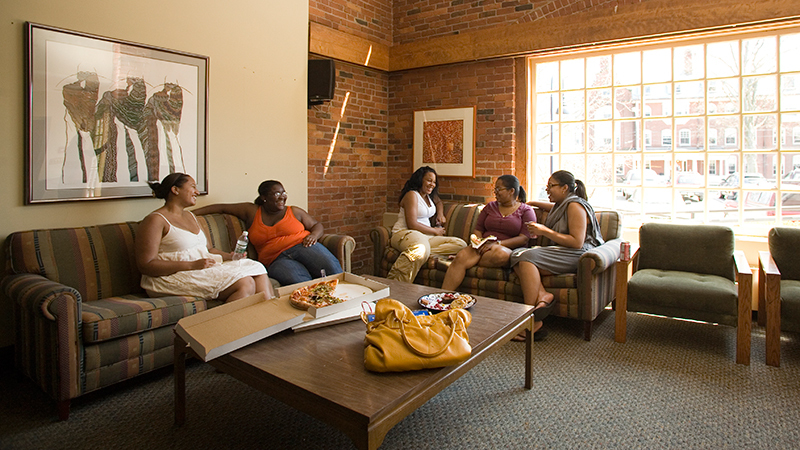 Unity House serves as the home for the Asian Students’ Association, the Black Students’ Alliance, the Chinese Interregional Student Cultural Organization, EKTA (students of South Asian heritage), Indigenous Smith Students and Allies, the International Students’ Organization, the Korean Students Association, the Latin American Students’ Organization, Multiethnic Interracial Smith (MISC), the Smith African and Caribbean Students’ Association and the Vietnamese Students’ Association. Unity House continues to be the organizing hub of multicultural affairs at Smith, enriching the social and intellectual life of the college.